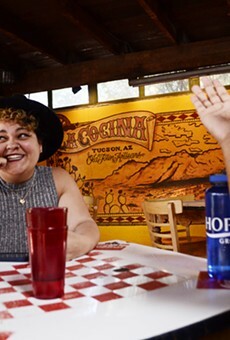 There are few better Tucson experiences than that of dining under the sun at Blue Willow. Imagine it: You're sipping a cup of tea while reading the newspaper, waiting for your delicious piece of quiche to arrive. The morning weather provides the perfect temperature as the sound of a running fountain gurgles in the background, mixing nicely with the voices of your fellow diners. The experience is casual, yet clean. Mellow, yet invigorating. Friendly, yet unobtrusive. And it's inherently Tucsonan. Ah, it's almost heavenly. Blue Willow's patio provides the perfect place for one to escape the circus of life every once in a while. 2. Caruso's, 434 N. Fourth Ave.